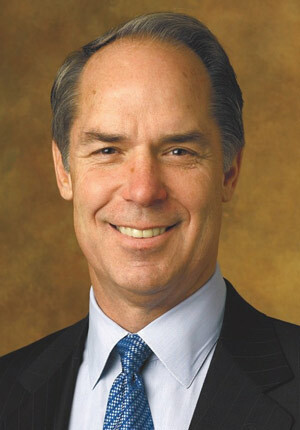 Gerald Hassell is chairman, president and CEO of the Bank of New York Mellon. The bank, which focuses on investment management and investment services, has $26.6 trillion in assets under custody and administration, and $1.3 trillion in assets under management. Global Finance : What do you see as the key events over the past 25 years that have shaped the current global economy? What are the biggest changes to be seen in global banking markets over the past 25 years? Gerald Hassell : The headline events have all been chronicled—the savings and loan crisis and stock market crash of 1987; the junk bond market collapse in 1989; the currency-related crises in Latin America in 1994 and Asia in 1997; the dot-com bubble's bursting in 2001; the economic effects of 9/11; the near-global financial meltdown triggered by the Lehman collapse in 2008; and now the European sovereign debt crisis. Behind these big headline events, a whole series of structural changes have been taking place, many of them driven by the ever-quickening pace of technological change. Along with continuing advances in information technology and communications will come the continuing challenge of clients' ever-increasing appetite for transparency. There will be fewer and fewer safe havens for the underperforming and inefficient. Investment markets and strategies are globalized as never before, challenging both investors and regulators to formulate risk management strategies that are correspondingly global in scope. GF: Tighter regulation on banks coming out of the crises of the past few years will result in the need for banks to hold more capital and possibly take less risk. How will this change the role of banks in financing global growth going forward? What new entrants will fill the gap? Hassell: We don't see the imposition of more-rigorous reserve and ratio standards as competitive disqualifiers. We're reinforcing our already strong financial position while powering the investment success of our clients. GF: The global banking markets have changed drastically in terms of key players. How do you envision the future of banking? Hassell: The enormous amount of attention now being focused on stress testing says a great deal about the keys to success in today's changing financial services landscape. Flight to quality is not just an expression, it's a competitive reality we've seen repeatedly in recent years. We see financial strength as key to the opportunities banks will face in coming years. GF: What were the most important events so far in your life and career? Hassell: Meeting my future wife and enjoying with her the successful journeys of our two children into adulthood—those have been the defining moments of my personal life. From a professional standpoint, the events of 9/11 were a defining time for BNY Mellon and for me personally. Our company lost three employees; thousands more were traumatized. We also lost key data centers and communications lines, which jeopardized our ability to service our clients. I still remember walking uptown with other company leaders amidst all the chaos and how determined we were to continue servicing our clients—which seemed almost naïve, given the circumstances. Yet, we did it, everyone pulling together throughout the world to find workarounds and essentially rebuild our company. Today, we're stronger for the experience. It was a lesson in the power of the human spirit, and a testament to the resilience of our company and its people.